It was quite crowded during lunch time but we manage to grab a table. Menu was quite huge. There are sharing dishes and individual dishes. We went for the individual dishes. 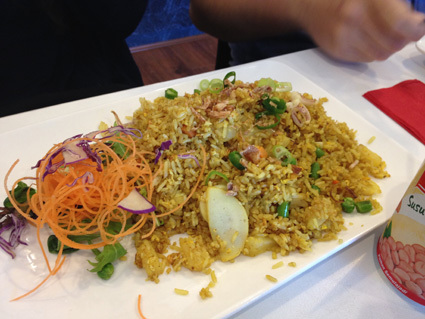 My friends had the Pineapple Fried Rice, Seafood Kuey Teow with Egg sauce and Anchovies Fried Rice. 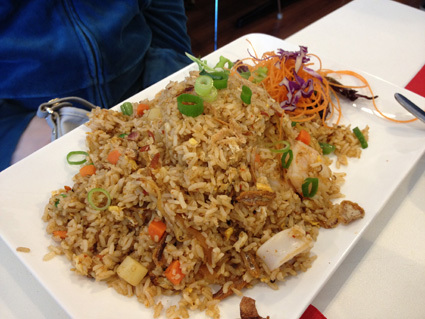 Fried rice were average. It was nice for the first bite, then it kinda tasted bland after that. Maybe should go with other dishes for sharing. 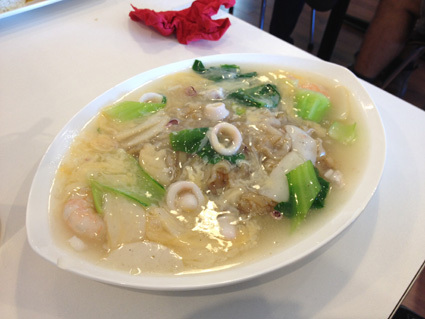 Seafood Kuey Teow taste good, down side was the sauce is a bit too watery. 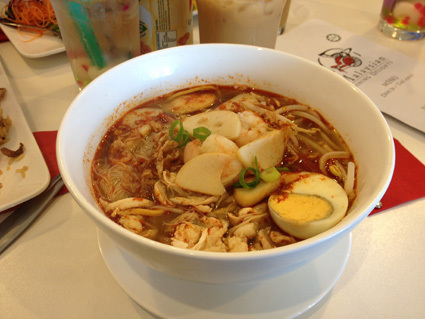 It was probably the best dish out of all and I had the Weekend Special, Prawn Noodle. Mine was average too. I was kinda hoping for a thick flavour of prawn taste. Ah well, I will try other dishes next time. 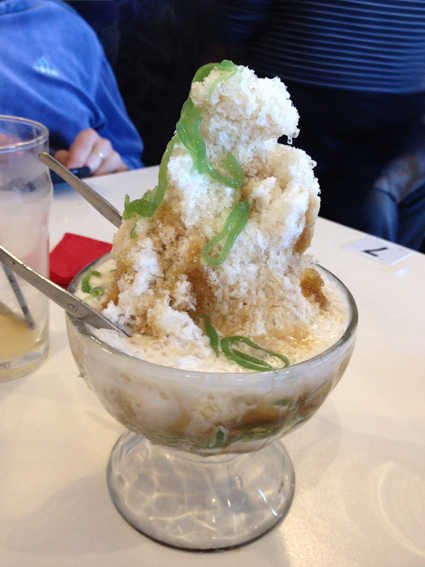 Other than that, we shared a bowl of cendol. It's huge isn't it?? Cendol look like noodle. I don't know why but it was quite hard to scoop the cendol out. 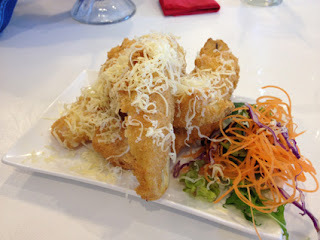 I like the Pisang Goreng with shredded cheese. Totally love the batter! Crunchy & light! I am always looking for this kind of batter for Fried Banana because it is the best! I used to have it when I was young and I couldn't find it anywhere else! So glad I found this! 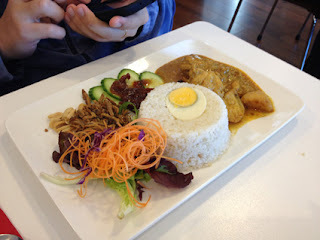 Overall, food was quite good. Generous and not expensive. Although it is not the best but I think it's quite authentic. We also found something fun to do in the restaurant!